2UNDR are the latest sponsor to confirm their backing of Manchester Giants for the 2017/18 season. The high-performance men’s athletic underwear company attended the recent game against Plymouth Raiders to present the team with their 2UNDR product for the new season. 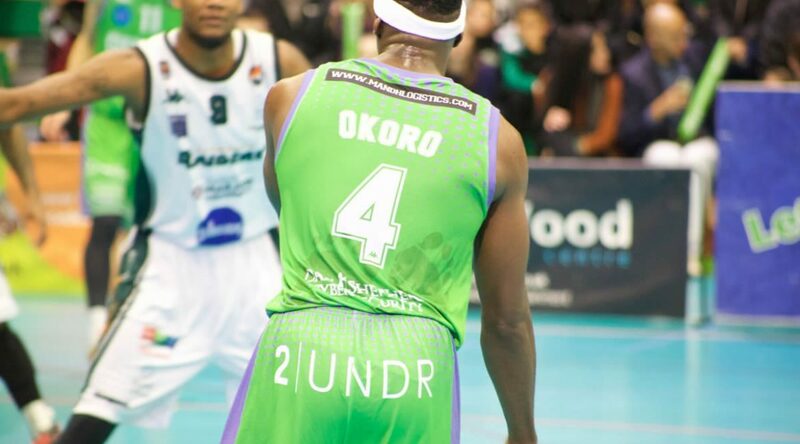 As part of the deal too, 2UNDR appears on the rear of the Giants playing shorts. James Gordon, Giants Business Manager, said: “2UNDR is an exciting, modern brand and they were a perfect fit for our new sponsorship opportunity on the rear of the playing shorts this season. The vision of 2UNDR™ was simple. Inspired by the kangaroo-pouch, we set out to create a high-performance men’s athletic underwear, with the versatility of everyday use. With 2UNDR quality comes first, sensed through seamless, chafe-free, soft material for an unparalleled fit and premium feel. Using the most advanced construction techniques and materials, we were able to separate a man’s equipment from his body to reduce unwanted skin-on-skin contact; this is known as the Joey Pouch. With more support than a standard brief and improved airflow to keep you cool, the 2UNDR™ products provide the best fit, comfort and style a man could ever need! 2UNDR underwear features the unique and patented Joey Pouch construction to support your equipment in comfort and style. The innovative design elevates and separates a man’s most valuable assets to deliver the perfect fit while preventing unwanted skin contact. The compression-like feel combined with the Joey Pouch and Swass Patch reliably delivers in the clutch. The result combines the best light weight, moisture wicking compression-like underwear around.